Trump Cultists Smear Muslim Rep As Backing Slavery - Joe.My.God. Minnesota member-elect Ilhan Omar and fellow freshman Rashida Tlaib of Michigan made history on Election Day as the first Muslim women ever elected to Congress. 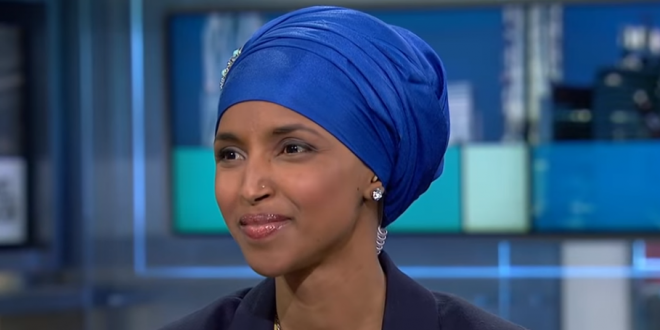 But Omar is already fending off conspiracy theories targeting her for her religion. A post on Facebook superimposes an image of Omar on the cover of Time with an accurate quote (“I am America’s hope and the president’s nightmare”) and a false and incendiary one (“I think all white men should be put in chains as slaves because they will never submit to Islam”).